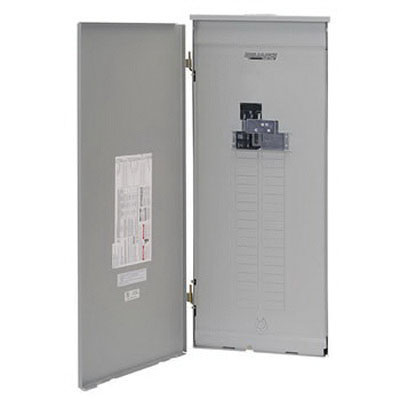 Reliance Controls Panel/Link® TTV-outdoor manual transfer switch panel has a current rating of 200-Amps for utility input and 50-Amps for generator input. The 1-Phase, 2-Pole switch with 36 circuits, exhibits a maximum load capacity of 12500-Watts. The NEMA 3R enclosure rated switch has powder-coated steel construction for high strength and durability.